In CityBeat‘s Food Issue, I wrote about my experience staging (essentially, interning) at Chad White’s La Justina restaurant in Tijuana. 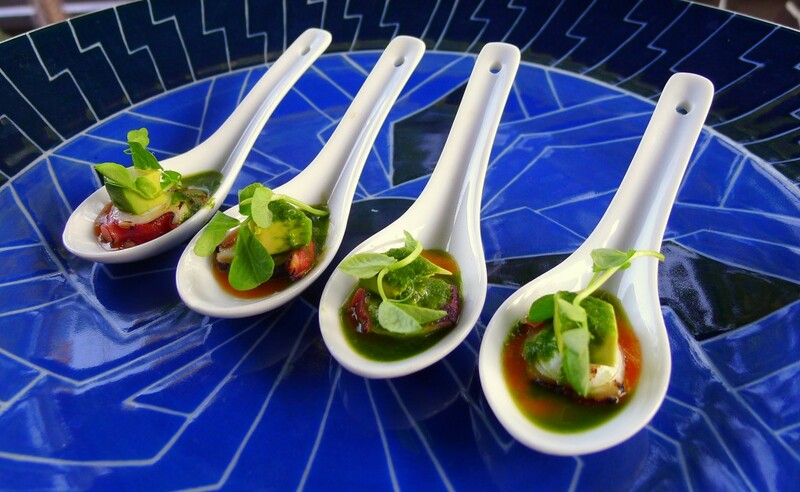 Last week, I used a number of the culinary lessons I learned at La Justina in preparing an amuse bouche for 80 at the Culinary Historians of San Diego’s monthly public meeting at the new San Diego Public Library. The April 19 event featured Chef Deb Schneider of Sol Cocina in Newport Beach and Scottsdale. Schneider’s also the author of five cookbooks, including Baja: Cooking on the Edge, the second edition of which just came out.